Clixcoin 5th referral contest ends today. Congratulation to all winners. Prize money has been distributed to your account. You can withdraw them instantly in your bitcoin wallet. Referral contest #6 starts today. 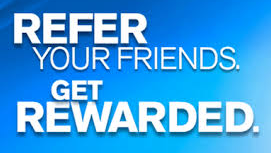 Member getting 2000+ referrals will get guaranteed 0.10 BTC prize nmoney irrespective of their contest position. Its for any member getting 2000+ referrals within contest period. Lets promote harder! 4th Referral contest Ends today! We congratulate every winnner participating. as a surprise we have provided extra 0.02 - 0.005 BTC up to 12th place. Thank you again for your continous support. 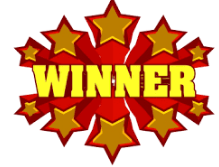 3rd referral contest finally ended and we congratulate each and every winner participating in the contest. Prizes have been distributed according to your rank. We would also like to announce that in few days, We will add Clixcoin PTP system where user can earn by promoting there link and at the same time can get clixcoin referrals. 4th referral contest started today and will run until May 30th 20:00 server time. Good luck to you all for next contest. 2nd Referral contest ended today. We are really happy to announce the winners of the contest. Thank you everyone for your continous effort. Without these clixcoin could not reach this level. Winning prize money has been added in your main balance. All winners can withdraw this instantly without any restriction. 3rd Referral contest already started and it will run until May 15th. First 5 prizes have been doubled with a first prize of 0.20 BTC. We wish you all best of luck and a happy weekend. Hope everyone having a nice weekend. We are back again with exciting news for you all. 1st referral contest has been completed successfully. Prize of 0.30 BTC has been distributed among top 10 contest winners. 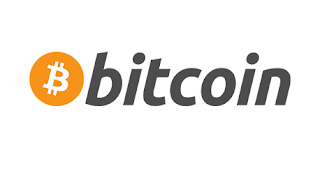 You can withdraw your prize money instantly in bitcoin. Also 2nd referral contest started from today. and It will end at April 30th, 16:00 server time. Participate in 2nd referral contest to win 0.10 First prize with a total of 0.20 in prize. We wish everyone a happy weekend. We would like to let you know, 1st Clixcoin referral contest has been started. with total prize of 0.30 BTC. Participate in the contest and win first prize of 0.20 BTC. We would also like to add that, Auto surf advertisement has been added. Also there is many new banners in referral link page for helping you to promote in contest. Contest will end @ 15th April, 2018. 16:00 server time. lets start right now! After a lot of request, We analyzed membership price and decided to permanently reduce it to 50% less than previous. Now all membership is available at a good price.Dont forget there is also promo discount of 30% which will be available for a while. its our 5th day, and Clixcoin has more than 10k members. There will be new earnings method and referrals contest very shortly.